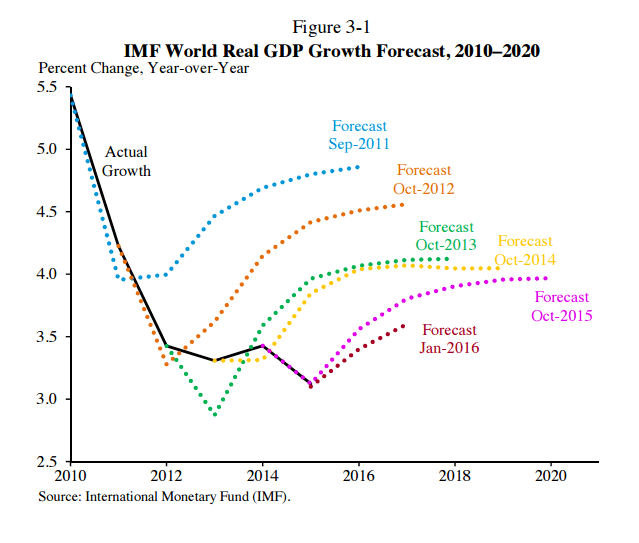 David Lipton warned that the IMF’s results for the global economy indicated that there is a weakening baseline. The International Monetary Fund has issued a warning about the condition of the global economy. The only setback is that only a few of the major economies heard it. David Lipton, who is the IMF’s No. 2 official, extended warnings in his speech to the National Associations For Business Economics, stating that the IMF’s results for the global economy indicated that there is a weakening baseline. He further stated that the world economy is in the progress of expansion and we are clearly at a very crucial stage where the possibility of economic mishap has started to emerge. The IMF was able to warn finance ministers and governors of central banks from the 20 biggest economies that assembled in Shanghai at the end of last month, that it is possible to take steps in downgrading its outlook for the global economy in April. The Managing Director of the IMF Christine Lagarde said that a combined effort was required, thus pressing governments with free budgets to ramp up expenditure and every nation to speed up the provision of the long-promised economic redevelopment. Unlike the group’s big joint-stimulus campaign in 2009 aimed at tackling financial instability, the members of the IMF have found themselves in disagreement regarding the severity of the challenge and how to handle it. At the moment of drafting the group’s joint communiqué, German officials disclosed in secret that they are strictly against a public announcement regarding a G-20 stimulus plan. The IMF is afraid that this kind of attitude risks hindering worldwide economic expansion. One of the challenges is the developing concern that policy makers are running out of ideas or have altogether lost the resolution to implement growth-reviving processes. In another statement, Mr. Lipton said that, regarding to the global economy, it is imperative that both developed and developing countries shrug off this risky notion by restoring the bold spirit of action. The IMF call came as the Organization For Economic Cooperation and Development stated that the top indicators already hint that global growth will slow down in the months ahead. While the Bank For International Settlements warned about decreased returns for central banks as they continue pushing for easy cash policies to improve development. There are very few indications that policymakers are shifting into a higher gear. During the previous meeting, a senior US Treasury official said that there is a great deal of economic doubt around the world, but there is not a crisis yet and it will be unrealistic to expect a crisis response. The IMF is urging the G20 to boost expenditure, but it is not required to do so at the expense of monetary rule. The fund also quickly urged the Federal Reserve to derail its organized rate increases and pleaded with the European Central Bank to rev up its stimulus attempts. What worries Mr. Lipton is the early withdrawal of central bank aid which could pitch the world economy into a drastic deflationary position. As a result, vicious and self-reinforcing changes would plague the globe in the form of increased real interest rates and decreased output, creating debt and high levels of unemployment. These kinds of effects are very tricky to tackle once they become entrenched.